Destiny Rise of Iron has been officially confirmed as the next DLC expansion from Bungie. During the livestream reveal, Deej took center stage to announce the team's next expansion, one week ahead of the full blown E3 expo. 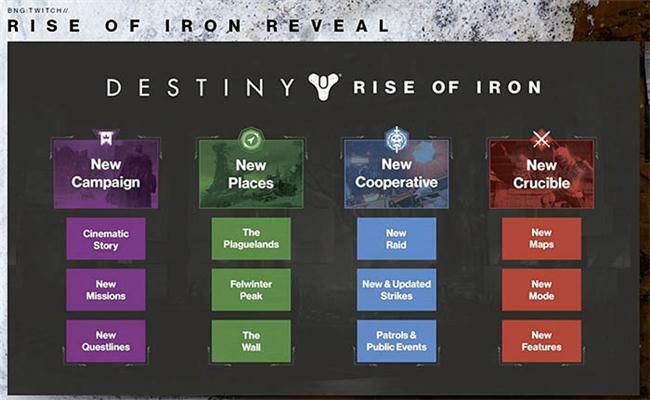 As we all expected, the Rise of Iron expansion fills the gap between the fall of 2016 and the Destiny 2 game coming in 2017. Many new features were revealed during the live stream including new locations such as Felwinter Peak, Iron Temple and the Plaguelands. A mysterious Axe Relic was also briefly confirmed to exist and will most likely be a Raid mechanic. Rise of Iron will be the fourth major expansion for Destiny in the two years since it's launch. 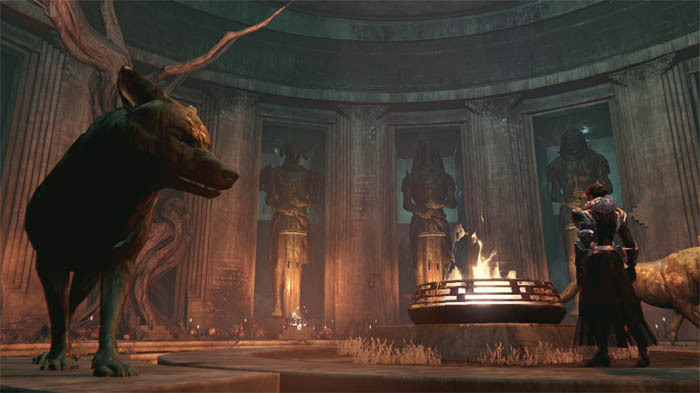 It follows The Dark Below, House of Wolves and The Taken King expansions in 2015. Fans will know only too well that Destiny expansions are not cheap, but they do come with a promise of substantial content that can reel in thousands of forgotten fans for an explosive re-grouping. The last update for Destiny was back in Aprli and although a free update, it was none the less a very welcome and popular addition to the game. Many new features were added to the already established platform and to name only a few of the changes: we saw a new collection of armour and weapons, a no HUD option, new activities, Taken shaders and a handful of new quests. No one could have complained about the lack of commitment from Bungie - keeping Destiny close to every fan's heart. For this year's Rise of Iron expansion, Bungie have confirmed that new quests, weapons and armour, exotics and a new raid will be coming. They did confirm that the light level will increase but wouldn't confirm to what value. The House of Wolves and The Taken King expansions gave us two new areas to admire, namely the Reef and The Dreadnaught. Rise of Iron follows suit, introducing us to a new destination called the Plaguelands wherein Bungie has wrapped the narrative story quests, patrol events and the high level Strike and Raid group activities together. 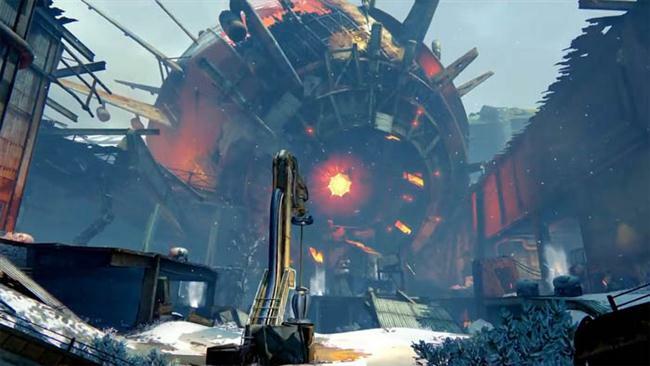 Felwinter Peak is the location of the Iron Temple, where the Lords held watch over the Cosmodrome. 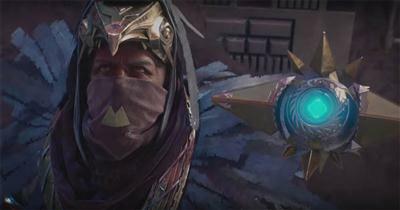 The iron lords confronted an ancient evil, and sacrificed themselves to contain it. This is the snowy mountain that we saw in the trailer and players have to retake the area which has been overtaken. Felwinter Peak is very different from The Tower and The Reef. It's rustic, remote, not polished and not industrial. We learnt about the Iron Lords, not all of whom are male. In particular Jolder who has a legendary heavy machine gun named after her: Jolder's hammer. By completing a series of tasks for the lords we will enter the Plaguelands where new patrols and public events take place. The Plaguelands is a harsh winter environment. The fallen have gone crazy with SIVA to build crazy contraptions. The environment has fallen contraptions and fortresses. It's full of new public events, patrols and new landing zone on Earth. This Axe relic will be one of the new Raid mechanics that grants players a temporary power increase. It also appears elsewhere in the game, just as the scorch cannon was available in patrol and other activities. This expansion costs $30 which is $10 less than The Taken King. You must also own ALL of the previous DLC for Destiny.